Last Thursday, 12th June, Sogeti and IBM launched their latest book: Staying ahead in the Cyber Security Game. Cyber Security is ‘hot’. Not a day goes by or new threats have been discovered, and new defenses have been introduced. A recent report estimated the total global damage inflicted by cyber crime to be close to 500 billion dollars, and that’s not even counting the effects of ‘cyber-warfare’. What should you do? What can you do as a person, and what should companies do? 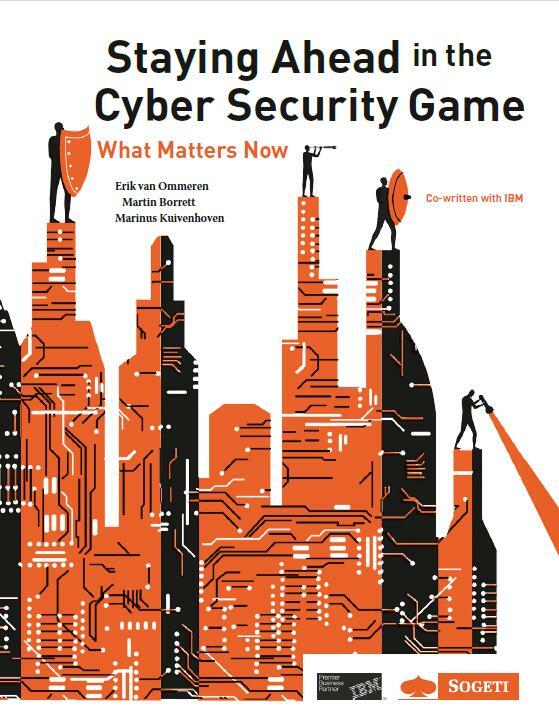 The book highlights the big changes that are happening in cyber security: from the mobile revolution and BYOD hype to increased acceptance of the fact that ‘you will be hacked’. And that it’s ok to accept that you will be hacked, just like any bank knows that they will face fraud, or any store knows they will face theft. It’s how you minimize the impact and organize the response that counts, at least as much as prevention, defense and deterrence. This of course has consequences for how you organize and execute your security, your strategy etc. These topics, and more, can be found in this 80 page book, that is written in such a way that it’s interesting for both the security experts as well as any manager who is in some way touched by information technology, security or organizational risk management…. which covers probably everybody these days? Erik van Ommeren is responsible for VINT, the international research institute of Sogeti, in the USA. He is an IT strategist and senior analyst with a broad background in IT, Enterprise Architecture and Executive Management. Part of his time is spent advising organizations on innovation, transformational projects and architectural processes. Erik is also a trainer, speaker at seminars and an author. He has written a series of books, covering topics such as mobile technologies, open innovation, SOA, Cloud computing and collaboration. Siguiente USE SCRUM AND HALVE THE TEST DEPARTMENT!